wingspan33 wrote: Sam, I am wondering what anti-U$hPa video Paul Voight has put out. As I understand, Paul was the creator of the "Vote No" video. Even the instructors of this caliber, once entrenched in the coolaid pitcher, are finally giving up on the false teachings of u$hPa. So far I've not found out who the pilot? RD? was who brought forth the voting/ballot irregularities that forced the re-vote. Was it Paul? For me, personally, the USHPA works great. I have excellent interactions with Beth Van Eaton regarding all my competition requirements. I work with volunteer Mitch Shipley on the Tow Device Supplement Applications, but then he lives at Wilotree Park part time. I send our competition results in to volunteer David Wheeler. Volunteer Jamie Shelden contacts me regarding membership on the national team. The incident report system is up and running. It's easy to renew my membership. Same for Belinda's family membership. We, obviously, have very specialized needs when it comes to dealing with the USHPA. There has been an extraordinary amount of discussion and good ideas shared over the last 20 years. (2) These ideas and efforts have been ineffective at arresting the decline of hang gliding. I would argue that there is no recipe that the USHPA can conceive of that is likely to be adopted and implemented by, or even that is even helpful to a successful school. That's not to say that the ideas are flawed, but that they are in conflict with our experience. Make a list of the top schools in the last 45 years—KHK, Lookout, Windsports, Mission, Morningside, Wallaby, etc. and ask if any of them would have been receptive to adopting a USHPA business plan for managing their business. Every school and community is unique—what works in Kitty Hawk is different from Morningside, LA, Chattanooga and San Francisco. The ideas that have been shared are a great resource for schools to consider for business development, but they are not a stand-alone solution. I'm suggesting that revisiting this subject with clean whiteboards and new participants is unlikely to do any better—we are looking at this from the wrong perspective. It's like trying to push a rope uphill—forcing top-down management on a system that doesn't respond to that approach. Let's recognize that new pilots only come from flight schools (rather than marketing programs). That the root of our problem is that sustaining a flight school is near impossible, and compliance with the rules, regulations and expenses imposed by the USHPA is a significant burden. And ultimately, the only mechanism for stabilizing hang gliding is to make teaching both easier and more rewarding. There are a couple of familiar refrains that we need to address head-on: (1) commercial interests are in conflict with the best interests of the association and (2) ideas for promoting growth are too expensive or otherwise subordinate to other priorities. 1. There is a direct and immutable correlation between the health, safety and vitality of every hang gliding community and the status of the local flight school. When flight schools close, even thriving communities of pilots diminish within a few short years. I can't even think of any exceptions to this. Schools, more than any other factor, are the foundation of our association and we need to stop seeing them as beneficiaries and sources of revenue. We should be supporting them, not taxing them. 2. How can we pretend to have be successful association with unrelenting declining membership? Membership is the only product that the USHPA sells, and all of the associated services are to support membership. We could argue that there are a lot of metrics to evaluate the performance of a business, but I can't imagine not including product sales. Most successful and sustainable businesses invest the majority of their discretionary resources in product development and those who don't more-often fail. That's not to say that investing in product development is any guarantee, just a fundamental requirement. Why don't we try something different, like investing in and listening to individuals who have demonstrated aptitude and commitment to achieving our goals? Instead of analyzing and dictating the minutia of how to run a successful flight school, why not ask our instructors, “what can we do to help?” What incentives (product and services) can we offer to achieve the outcome we want (growth and pilot retention)? 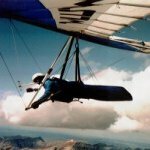 What specific actions can the USHPA implement develop hang gliding, i.e. to support schools ? 1) Provide financial incentives for the development of new pilots. I'm suggesting that a program like rebating the entire 1st year membership fee, and 50% of the second year would relatively increase membership and long-term income for the USHPA. It would also focus the efforts of schools on making pilots rather than other income opportunities like tandem rides. 2) Mandate a reduction in the administrative burden of PASA/RRRG compliance. 3) Reduce the instructor fee, and perhaps even make the first year free. 4) Provide funds and support for instructor clinics rather than requiring participant to organize and pay for them. Wills Wing did this for years—we paid for Tim Morely, Jim Shaw and others to give clinics around the country. More flight schools = more pilots = more glider sales. 5) Reduce the administrative costs and requirements for sanction competitions. 6) Eliminate all fees and requirements for local chapters to hold fly-ins and other community events. I don't mean this to be an exhaustive list, just the first things that occurred to me. Certainly we can do better than this? Finally, these new policies don't address the structural problems with hang gliding like how long it takes to learn, or the physical requirements, or the inconvenience of carrying and storing bulky equipment. That's for us to solve. So now we have the manufacturers speaking up also ! Bob can you make the link work? Bill see if this works, sorry. I know Paul quite well and the voice on the video is not him. But he could have gotten somebody else to do the audio. Paul's son Ryan is college educated in videography so he probably could have managed the graphics. But IF they were involved then the voice over (which is neither Paul or Ryan) is obviously meant to make people wonder who the "producer" of the video was. Due to the unfamiliar voice over I would actually have (at least some) doubts that Paul was involved. Somebody might recognize the voice in the video and they may then have an idea of its origins. SamKellner wrote: As a non member and US Hawks, are we cheering the members vote yes and the Reform passes ????? I've had mixed feelings on this proposal. On one hand, I think the proposed concentration of power is bad. On the other hand, that concentration of power already exists because the USHPA Board members have all been spineless followers of Mark Forbes and Tim Herr for a long time. Mark Forbes couldn't even win an election in his own region, so what did the USHPA Board do? They made him a "Director at Large" to keep him in power. It's clear that this new governance proposal (and USHPA's recent loss of insurance) reflect an organization that's in deep trouble. The organization got itself in that deep trouble under the current governance and largely with the current Directors. If the current Board wants to stay in place, can each of you tell us what you would do in the future that differs from what you did in the past that got us here? Do YOU personally think YOU'VE voted for any of the things that brought us to this point of desperation? And if you can't tell us that, then why should we keep the status quo? As far as I can tell, that question still hasn't been asked of any current Directors. So here's my take on the whole thing. If there are a significant number of current Directors willing to admit that they've made mistakes and are willing to make amends for those mistakes, then they should be given a second chance. If they're not willing to admit to the mistakes that got us to this disaster, then they should all be flushed ... with USHPA itself going down the toilet after them. This is a perspective that hasn't been posted on the other major forums (Jack and Davis shows) and their muzzling of speech (banning, locking, manipulating) is also a big part of the problem. Sam, I would say to vote NO to anyone who's still a U$hPa member. Bob has some good points (above) but I think a tiny directorship of a Large National Org is a bad idea. I do think the current directors need a slap in the face to wake them up and this (bad) restructuring plan might do it.